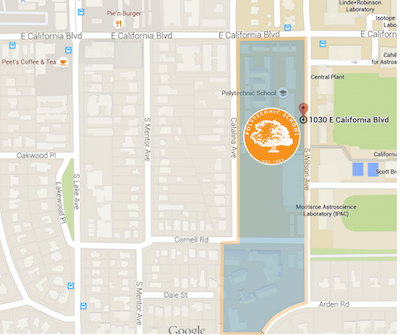 Polytechnic School is located at 1030 E. California Blvd., Pasadena, CA 91106. Parking is available for visitors in the underground parking structure accessible from Wilson Avenue. Click on the campus and facility map links below to view full versions that may be downloaded and printed.